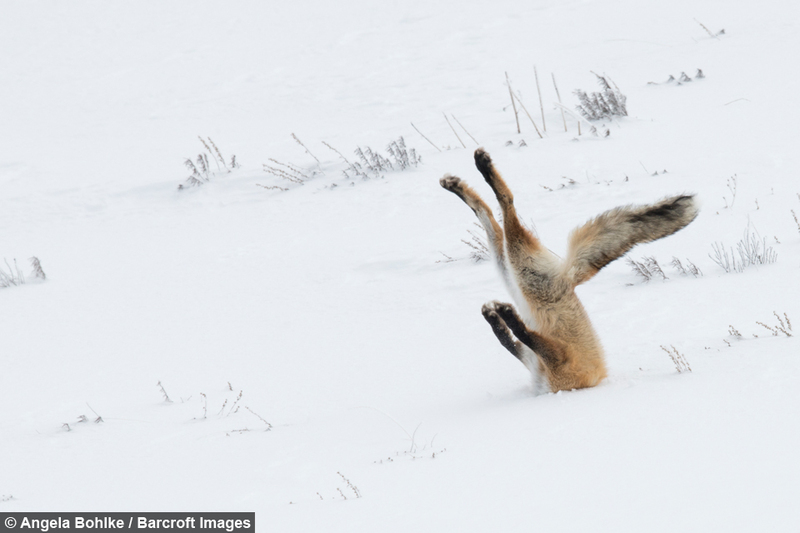 Angela Bohlke won On the Land category and was declared as Overall Winner of 2016 Comedy Wildlife Photography Awards for her photo entry of a red fox face-planting the snow. The unfortunate endeavor of the fox hunting for his breakfast, a small rodent known as a vole, was photographed in Yellowstone National Park. Bohlke, 36-year old from USA, was “absolutely shocked to be announced as the overall winner” and wasn’t even expecting to be one of the finalists. She added that winning is “chance to share the beauty of our protected lands with more people”. See winning entries here. Watch the video presentation below.